MORE WORK AT YNYSMEUDWY UPPER LOCK: 9.10.18. 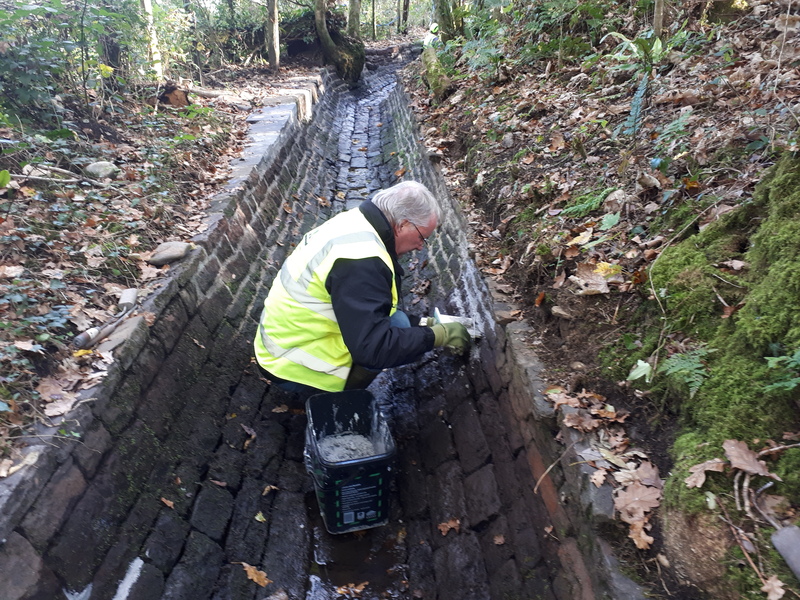 The sun shone, the rain held off so we were able to get some more repointing done on the by wash. 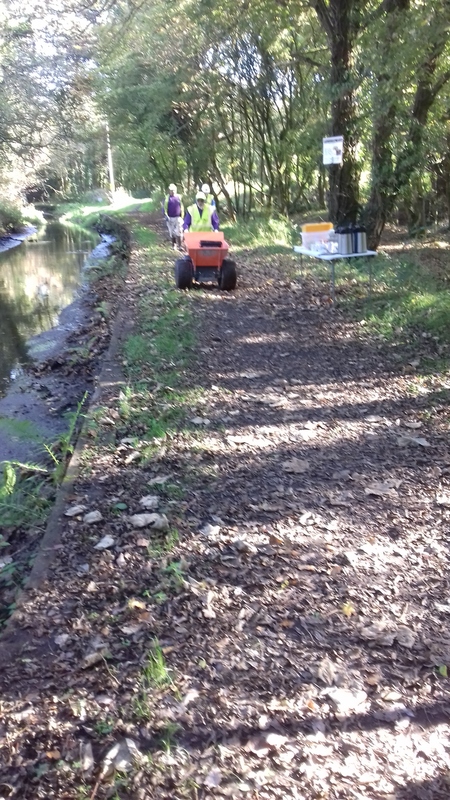 The dumper truck came in very handy as we were mixing the lime mortar in the car park and that is some way from the lock. See below! In the bywash the volunteers had to risk sore knees and back spasms in order to get the pointing done. Easy to get down but not easy to get up. 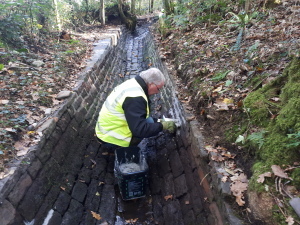 ALAN REPOINTING ON THE BY WASH. The bywahs has to be in fully functioning mode for next year’s proposed Waterway Recovery Group summer camp. Not only repointed but cleared. 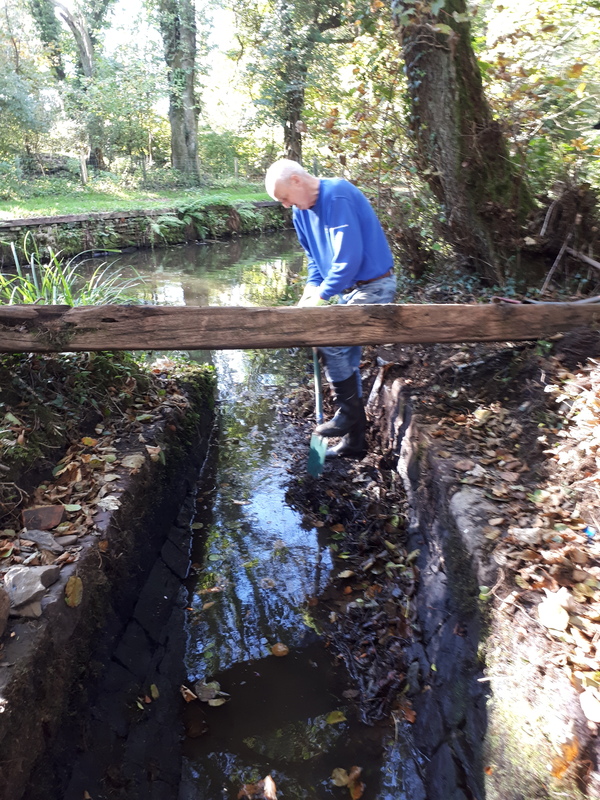 The end of the by wash is dammed by the roots of a large alder tree. It has taken three Tuesdays to get the majority of it out. Toby and Sue and Andy have toiled hard with axe and spade to get it done. 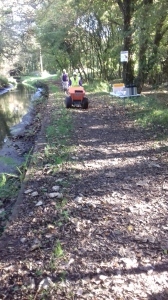 Here is Andy chipping away at it though we may need to get the stone cobbles up to clear what is under the floor. 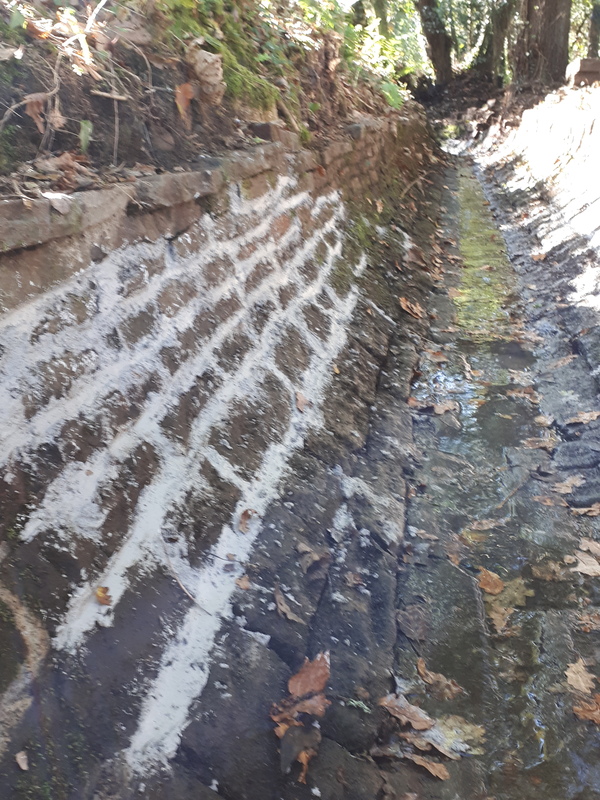 The whole bywash has to be capable of taking the water of the diverted canal to allow the lock chamber to be dry for vegetation clearance and repointing next summer. Andy continues the mammoth tasks of removing the roots of an alder tree from the by wash floor. Photos courtesy of Martin Davies and Paul Rapsey. Previous postTHE WEEK AHEAD: SUNDAY 14.10.18 TO SATURDAY 20.10.18. Next postCOAST AND COUNTRY, CANAL AND CAMERAS: 22ND OCT 2018.